Africa’s most valuable resource is its human capital. Our continent has an impressive class of highly skilled and experienced professionals; educated at the world’s elite business schools, and have worked for some of the world’s most successful companies. But there’s a big problem: Most of Africa’s best and brightest minds are not on the continent. They’re scattered across the world; from Wall Street to the High Streets of Europe, the Middle East and Asia. It’s called a “brain drain”. And Africa suffers from this malaise on a continental scale. That’s why there’s a huge skills gap on the continent. It can be really hard to find top talent on the ground these days. And this is why I’m excited about today’s article. 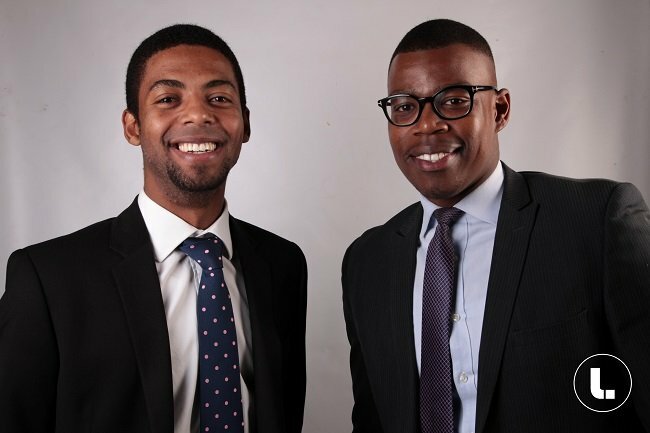 Two young South Africans – Scelo Makhathini and Eugene De Beer – have created Africa’s first online marketplace for hiring elite and highly experienced professionals from several industries. The platform – LinkdPro – provides a unique opportunity for top consultants to join an exclusive network of professionals who enjoy the freedom, flexibility and financial reward that comes with working independently. In this interview, the brilliant minds behind this revolutionary marketplace share their insights, and experience about this service and their entrepreneurial journey. How did you come with the idea of a marketplace for independent consultants? Scelo Makhathini is a qualified chartered accountant with several years of working experience in investment banking. Throughout his career in financial services, he noticed that sourcing independent specialist skills for project-based work was a difficult task for some of his clients. The reason it’s hard to find experienced independent consultants is because the market for these professionals is very fragmented and there is no local marketplace that exists for them to market their skills. This challenge excited Scelo. He wanted to create a solution that would make finding top independent professionals as easy as buying call credit or air time. Along with his co-founder, Eugene De Beer, a computer scientist who has built successful web applications for large enterprises, the duo developed LinkdPro. What exactly is LinkdPro, and what inspired you to come up with the name? LinkdPro is Africa’s first on-demand digital platform which connects experienced independent professionals to companies looking for specialist industry expertise on a project-basis. LinkdPro is not a social network, rather it is a market place for finding highly experienced professionals with niche skills. The range of independent professionals on LinkdPro range from strategy consultants, on-demand CFOs to ex-investment bankers and industry experts. Many of them have had sterling careers in the world’s top-tier firms in healthcare, oil and gas, information technology, engineering, education, telecommunications and financial services. How did you move from ‘idea’ to ‘action’ with LinkdPro? Moving from the idea to action took about a full year and LinkdPro as a marketplace has been in development for about 14 months. So we have effectively been working on the idea for just over 2 years. How did you know the market would be receptive to a marketplace for independent consultants where other freelancing platforms already exist? LinkdPro is the very first of its kind in South Africa and on the rest of the African continent, and focuses on very niche and hard-to-hire specialised skills. LinkdPro prides itself for being an exclusive network of top-tier professionals seeking to democratise access to highly skilled and experienced independent professionals. Our platform enables governments and private institutions to confidentially post project-based work in sectors that suffer from skills shortages. Many of the existing international platforms are either too generalist in nature (that is, anybody can offer their skills on the platform), or they tend to prioritise developed markets and offer few project opportunities for independent professionals in Africa. Our aim with LinkdPro is to provide highly skilled independent professionals on the African continent with the ability to gain access to exciting and high-paying project opportunities that fit their skills set and interests. We want to help these professionals build visibility and increase their exposure in the professional services industry and create opportunities to experience the entrepreneurial excitement, flexibility and financial reward of working independently. What were the main challenges you faced with getting LinkdPro off the ground? In one short sentence: IT skills. Contrary to popular belief, there is still quite a huge shortage of first-class developers on the African continent. Our speed of execution would have dramatically improved if we had the right IT skills on the African continent, especially in South Africa. Access to highly specialised skills in terms of business strategy, investor pitch materials, financial modelling, fund raising, marketing strategy, monetization, scalability and growth hacking was also amongst the challenges we encountered. But the interesting thing is, these challenges just validate our existence in the market. We have now created a unique depository of specialised skills from which businesses and government institutions can tap into for rapid business growth and faster access to opportunities on the rest of the African continent. What’s the feedback you’ve received so far? What are the top 3 reasons clients use LinkdPro? Market reception has been overwhelming. What has been surprising is the fact that some clients hear about us from employees and give us a call to try out our offering. Clients like the on-demand, cost-effective and flexible delivery model which challenges the rather unquestioned dominance of big professional services firms in Africa. Clients are able to access top consulting talent with the same skill and rigorous approach offered by top consulting firms at a fraction of the cost. Another advantage our clients have found is just how our consultants deliver project-based work efficiently without the overheads of traditional consulting firms. This ‘light-weight’ model allows our clients to have greater control over their consulting spend resulting in greater ROI. The way we see it, we give our clients an ‘unbundled’ version of traditional consulting. Why pay for an entire project team when all you really need is one person to deliver the project cost-effectively? How exactly does LinkdPro earn revenues? Consultants join LinkdPro for FREE and clients post projects for FREE too. We only charge clients a commission once we have delivered (that is, upon placement of the consultant they are looking for). Where do you see LinkdPro in the next 5, 10 and 20 years? We want to be the go-to skills marketplace for niche and hard-to-hire expertise for project-based work on the African continent. That’s our Number 1 focus. Where can anyone start using LinkdPro? Consultants can visit our platform on www.linkdpro.com, register for FREE and start accessing exciting and rewarding project opportunities – takes less than 5 minutes! Clients can also register for FREE on our platform, start posting projects for FREE and access the largest pool of top independent professionals waiting to deliver high impact results for all project-based work – it also takes less than 5 minutes. It’s common belief that entrepreneurs are restless people. Tell us about the next big idea you have in the pipeline. We can’t reveal too much at this stage but LinkdPro is a first step towards a complete disruption of how people work and how companies find the best talent for their organisations. Let’s face it, the workplace is changing and technology is fuelling a lot of the changes we are seeing in how people work. Most professionals want to be independent and work on their own terms. Flexibility is also one of the biggest drivers of the changes we seeing. What’s your single most important advice to entrepreneurs who are looking to start a business? Just do it and never let people who have never done anything tell you that you can’t do it.